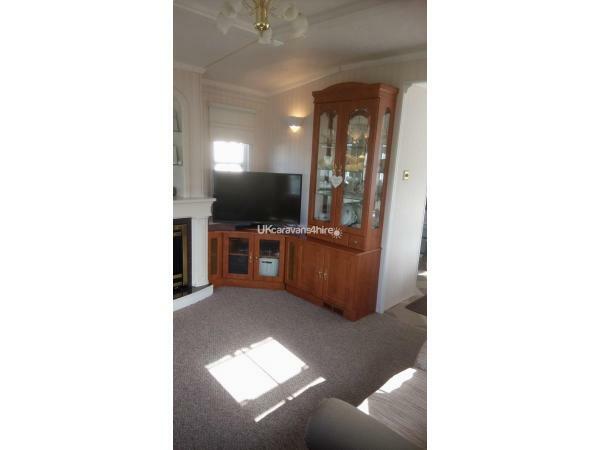 £50 returnable deposit if no damages . Details of all who will be staying for booking. 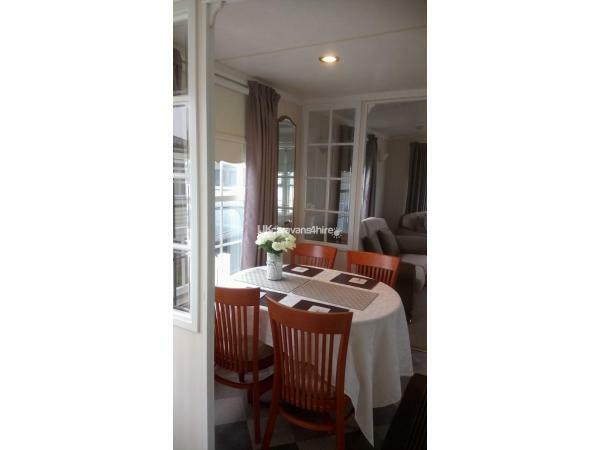 Stunning caravan for rent layout is more like a home than caravan. 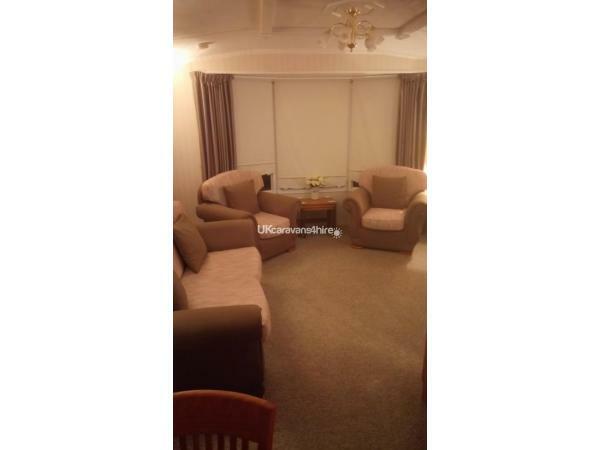 Lounge has a sofa bed.42 in TV - Radio - sky Ariel so you can bring your own box - Blu Ray DVD player - wide range of dvds to watch. 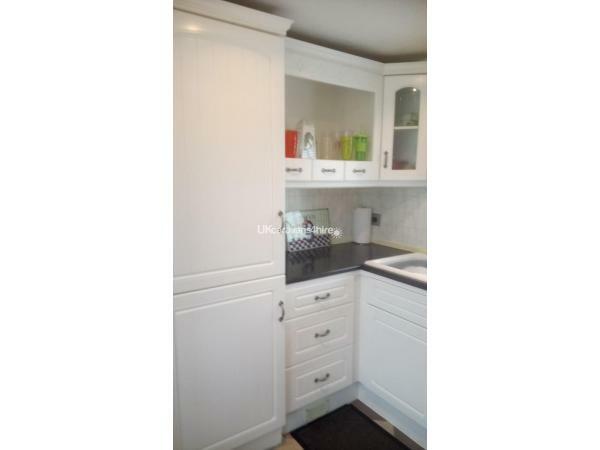 Fully fitted kitchen with full size cooker - micro wave- double toaster iron and ironing board. 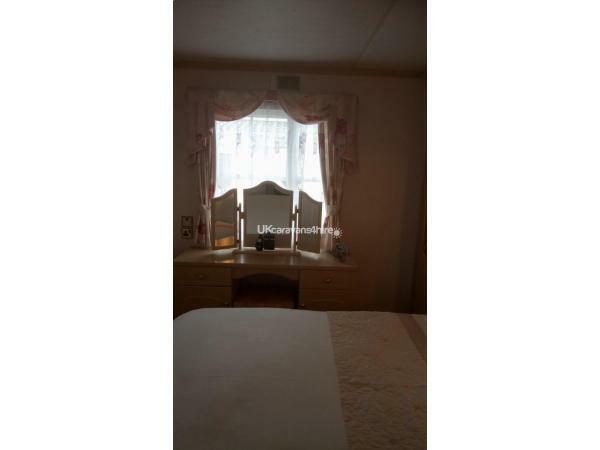 Free standing dining table chairs. 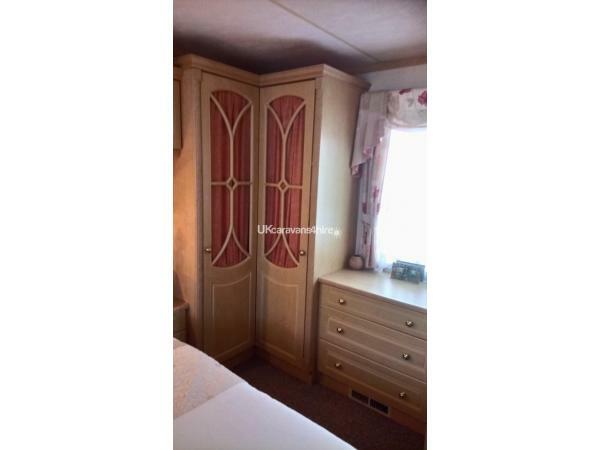 Master bedroom has en suite that also has a small bath as well as shower- loads of wardrobe space- dressing table and chester drawers. 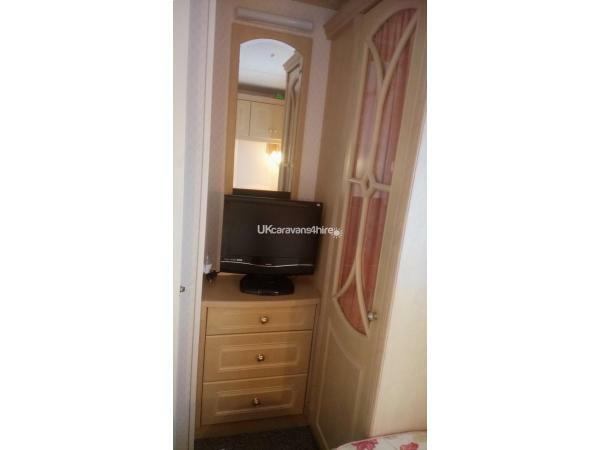 2nd bedroom set up is two single beds but can be push together to make double again loads of storage space. 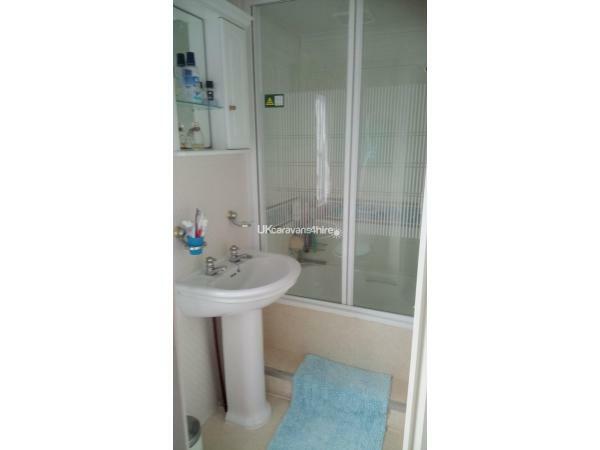 Separate, cloakroom to the side. Outside a large veranda with seating and table gate also locks for kiddies safety. small garden area with garden table set and private parking space. Storage box with barbque and cooking table lots of kiddies play toys. Happy Days is central to everything you would need 2min to large play park. Tir Prince market - large fun fair. Local shops - gift shops - bakery are 5 min walk away . Sunnys Bar and Sports Bar are very close by. Beautiful beach access is just a walk away. Although a central camp to everything the camp is very family focused. 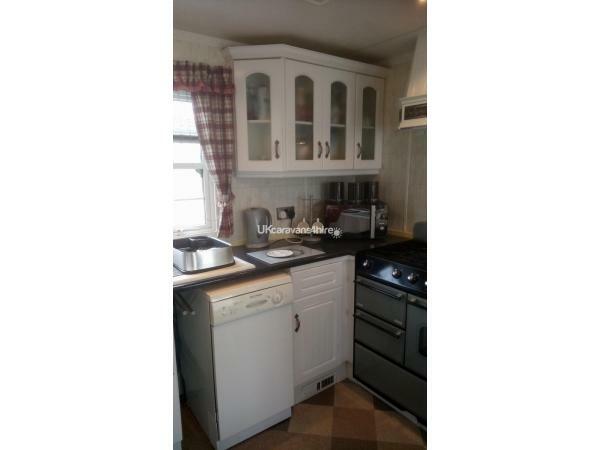 Fantastic homely caravan,all equipment available during the stay. Could not fault anything! 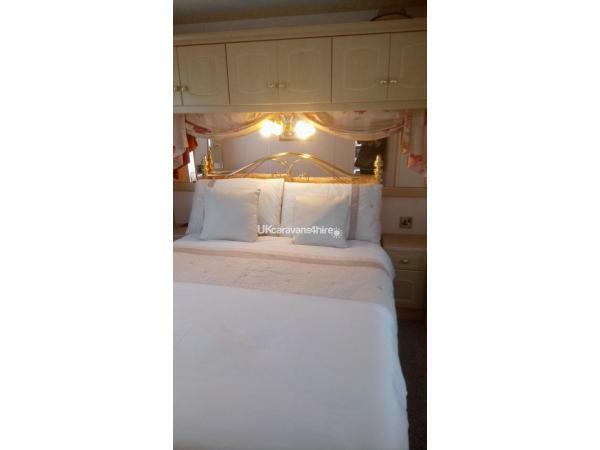 Caravan is in the centre of towyn so easy accessible to the fair and market etc Owners made booking process easy and was contactable if needed during the stay. Would highly recommend this and will be definitely going here again. Thank you so much for a lovely stay at the caravan. Two couples stayed here for a fabulous weekend. 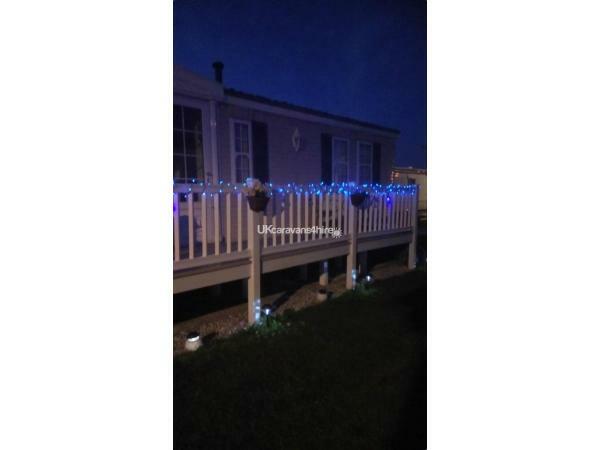 The caravan is really homely, fully equipped with everything you need and on a great site in close proximity to the beach and all Towyn has to offer. The owner was fantastic in contacting us prior to the booking to ensure all was in order and as we arrived to make sure we were happy with everything, leaving jer cintact details should we need anything during our stay. 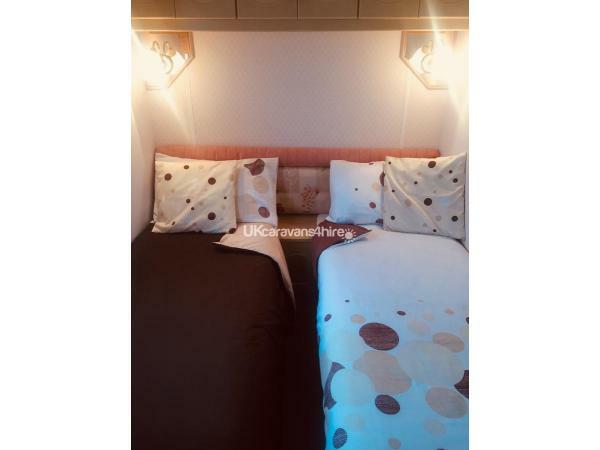 First rate caravan and a big thank you to Marina who made the booking and customer service first class. Would highly recommend and would definitely use again.